Green tea has some distinct beauty benefits due its high content of antioxidants and other healthy nutrients. 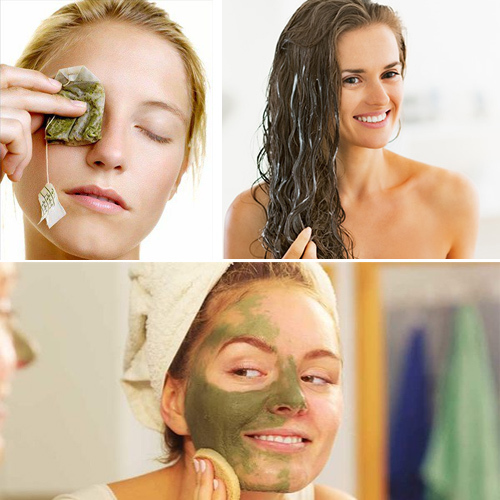 This is the reason many beauty products contain green tea extracts. Don't throw away the tea bags and instead, cool them and place them over your eyes for relief. Green tea contains tannin, an astringent that miraculously shrinks skin. The cool tea bags reduce the swelling around your eyes and tighten the skin, making you look and feel fabulous.